On the story, Russian Soldiers Face Ban On Social-Media Posts. Well, duh. After three years of open source reporting, NOW Russia is taking action. While Ukraine changes the legislative framework of the Donbass war, Western media start to notice. Russia legislates against troops posting on social media – this will cripple many OSINT groups who have harvested immense volumes of data, but the legislation is too late as an immense volume has already been collected. Saudi lovefest with Russia culminates in an order for the supply of S-400 / SA-21 systems to the Saudis – Iran was allowed only the S-300PMU2 / SA-20B. More on Russia’s pandemic of bomb hoax calls, Petrov on the ongoing medievalisation of Russia, gun control debate, ROC attacking minority religious communities, increasing radicalisation of Muslims in the Russian jail system, Kudrin points out adverse economic impacts of military overspending – Russia is accelerating in its dive down the abyss. Whitmore on the breakdown of relations between Muscovy and Minsk, while NATO assesses withdrawal of Russian forces from Belarus. Western MSM begin to notice Moldovan politics. In Ukraine, Chief of the General Staff Gen Muzhenko tells the public that a forceful ejection of the Russian occupation force from Donbass in a combined Ukrainian Air Force and Army operation could cost Ukraine 3,000 KIA, 7,000 WIA, and up to 13,000 dead civilians, evidently to shut up some vocal politicians calling for a replay of Croatia’s Operation Storm. Notably Gen Muzhenko states AFU capability is now sufficient to deal with any Russian attempt to invade along the lengthy Northern border. Donbass fires continue, with three key hotspots. DO report on US training mission in Ukraine. Conscription of Ukrainians in Crimea. POTUS expected to decertify the dysfunctional Iran deal. Reports on Syria, Turkey, Iran and Qatar’s deal to buy US fighters. Putin on the DPRK: “In 2001, when I was on my way to pay a visit to Japan, I made a stop in North Korea, where I had a meeting with the father of the country’s current leader. It was back then when he told me that they had a nuclear bomb. Moreover, (the South Korean capital of) Seoul was within the hitting range of their standard artillery systems at that time. When was that? In 2001! It is 2017 already, the country has been living under permanent sanctions, and instead of a nuclear bomb they have now a hydrogen bomb”. Bodeen report on Chinese argument about intervention in the DPRK to secure their nuclear weapons is interesting, but whether this is actual PLA planning or simply educated guesswork is not clear. Speculation about an invasion of Taiwan. Bershidsky comments on European reluctance to stop Russian money being used to corrupt politics. Three FP essays on the EU problem with African refugees. Suri essay on UBL’s greatest accomplishment makes a good point. Six other interesting essays, especially on tech. Harding on the BBC interview with the charming Jessikka Aro, harassed for three years by Russian trolls. 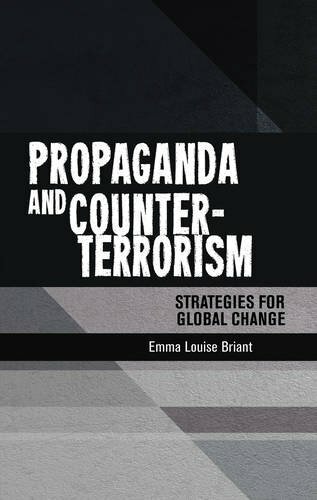 Some interesting articles on propaganda and cyber. Russia remains a major focus in the US domestic debate. THE proposal came out of nowhere. After years of swatting down Ukrainian calls for international peacekeeping forces, Vladimir Putin changed course ahead of the UN General Assembly last month, putting forward his own plan for so-called blue helmets in eastern Ukraine. Ukraine has informed the United States on specific weapons the country seeks to receive to&nbsp;repel&nbsp;Russian aggression, Chief of the General Staff of Ukraine's Armed Forces Gen. Viktor Muzhenko told journalists, according to Ukrainska Pravda. &nbsp; News 06 October from UNIAN. All negotiations with the American counterparts have already been held, so now the decision rests with Washington, Ukrainska Pravda quoted Gen. Muzhenko as saying. According to him, Ukraine has requested aerial reconnaissance equipment, anti-tank missile systems, and electronic warfare systems. The presidential draft law on the specifics of state policy to ensure Ukraine's state sovereignty over the temporarily occupied areas of Donetsk and Luhansk regions, adopted by Parliament Oct 6, 2017, gives the head of state the right to use the Armed Forces of Ukraine (AFU) exclusively within the territory of Luhansk and Donetsk regions,&nbsp;Secretary of the National Security and Defense Council Oleksandr Turchynov said&nbsp;while presenting the Bill in Rada. News 06 October from UNIAN. Ukraine is seeking to politically redefine the situation in its eastern separatist-held areas. Petro Poroshenko has put forth a bill labeling Russia an aggressor and reaffirming his commitment to the Minsk II protocol. The Verkhovna Rada of Ukraine has supported the bill on Donbas reintegration and the recognition of Russia as an aggressor state. Latest UNIAN news from 06 October. Russia’s Defense Ministry has drafted legislation to ban social-media posts by professional military personnel on security grounds. Saudia Arabia have agreed a deal to purchase S400 missile defense systems from Russia on Thursday during the state visit of King Salman Bin Abdulaziz. Saudia Arabia have agreed a deal to purchase S400 missile defense systems from Russia on Thursday during the state visit of King Salman Bin Abdulaziz to Moscow. The deal will allow the kingdom to acquire one of the most advanced missile defense platforms in the world. The S-400 Triumf is an anti aircraft, anti ballistic missile and anti cruise missile defense system that has been in service with the Russian Army since 2007. The system uses four missiles, a very-long-range 400 km missile, a long-range 250 km missile, a medium-range 120 km missile and a short-range 40 km missile. The System gives Saudi Arabia a multi-layer defense ability against aerial threats. The S-400 is utilized by The Russian, Belarussian and Chinese armies. Turkey and India are awaiting delivery. Although the kingdom utilizes an American-European missile defense base depending heavily on Raytheon’s Patriot missile systems, the inclusion of the Russian system will not affect but enhance the system in place according to Riad Kahwaji, Chief Executive of the Institute of Near East and Gulf Military Analysis in Dubai. “The S400 is an effective missile platform that can be effectively utilized as long as the communications network is in place,” he said. “As long as your command and control can talk to each other and see any emanating threats you are fine with this system in place,“ he added. Saudi Arabia already has an established early warning system with radars, early warning aircraft and missile defense systems, Kahwaji added. Saudia Arabia&nbsp;has&nbsp;agreed&nbsp;a deal to purchase S400 missile defense systems from Russia on Thursday during the state visit of King Salman Bin Abdulaziz to Moscow, according to Al Arabiya. News 06 October from UNIAN. King Salman’s trip, the first state visit by a Saudi monarch, is a sign of the shifting dynamics in the Middle East as Russia assumes a greater role. He’s lorded over the Kremlin for more than 17 years. He’s crafted an image as Russia’s indispensable man. And few doubt that he will seek and win a fourth term as president in March. But Vladimir Putin turns 65 this weekend and the growing sense in Moscow is that his next term will be his last. So what happens when Russia’s indispensable man becomes the Kremlin’s lame duck? On this week’s Power Vertical Podcast, we’ll look at the next phase of the Putin era and the potential for clan warfare as the elite prepares for what comes next. Joining me will be veteran journalist Kiryl Sukhotski, executive editor for RFE/RL’s Russian-language television program Current Time, and Mikhail Fishman, a political analyst and anchor at Dozhd-TV. Also on the podcast, Kiryl, Mikhail, and I will look ahead to the protests opposition leader Aleksei Navalny has planned for Putin’s birthday. So be sure to tune in later today! Paul Goble Staunton, October 5 – The Russian Orthodox Church increasingly functions like the CPSU did in Brezhnev’s times, Kseniya Kirillova says; but its actions are restricted by the state of which it is a part – it can’t attack people like Ramzan Kadyrov, for example – and so it is directing its energies elsewhere. On the one hand, the Moscow Patriarchate is positioning itself as a major defender of the Russian world abroad and of the uniqueness of Russian culture, both with state support. But on the other, it is increasingly attacking the old “faiths of the small indigenous peoples, including those protected by law at the regional level” (afterempire.info/2017/10/05/clerical-empire/). That has led to some serious clashes, the US-based Russian journalist says. A year ago, for example, the Russian church attacked a Chuvash cultural celebration accusing its organizers of “paganism and separatism,” charges that were not taken up by the political authorities at the time. The Russian church has also gone after paganist groups among Slavs in the Urals region, and against shamanism in Tuva, despite the fact that in the latter case, that is one of “the three dominant religions” in the republic. And the church has backed Cossack attacks on the faith of the Nentsy in the Far North. Some of this activity may enjoy official government support, some may be sanctioned by the Moscow Patriarchate, and some may simply be the work of local priests and bishops who see this as a way of building their authority among Russians by attacking others. But however that may be, this has the potential to create serious problems. That is because the government does not appear to be in full control of “the demons it has unleashed” and thus has created a situation in which Orthodox fundamentalists feel free to act within what they but not necessarily all the powers that be in Moscow define as “the clerical empire” they want Russia to be. Paul Goble Staunton, October 5 – As the number of Muslims imprisoned in Russia has increased, the number of violent clashes and their intensity between them and other prisoners, on the one hand, and the penal authorities, on the other, have increased, especially as the Islamic community behind bars seeks to have its dietary and other requirements respected. Just how explosive the situation has become is suggested by an URA agency report today concerning an appeal by non-Muslim prisoners who insist that there be only one way of life for prisoners and that the Muslims must not have any special privileges like avoiding pork or bathing while partially dressed(ura.news/articles/1036272482). Such exceptions to the rules, the authors of the appeal say, not only exacerbate relations between Muslims and others but encourage other groups to make demands. But they argue that the penal authorities are so frightened of the Muslims that they have conceded to many of their demands. As a result, the term “green camp” now refers to areas Muslim prisoners control. There have been clashes and even deaths between Muslims and the others, the penal authorities say. And Mikhail Orsky, a specialist on prison culture, says that the rise of Muslim prisoners has reduced the salience of divisions among other groups of prisoners and led to the dominance in some prisons and camps of Russian nationalists. In Russian prisons and camps, the news agency reports, “jamaats (Islamic societies) are forming which enter into conflicts with prison norms because for the Muslims, there are no authorities besides Allah. In addition, they actively recruit into their ranks new supporters [and] there are cases when Slavs as well as drawn into Islam.” According to Orsky, that sets them apart from other criminals who do not seek power. “The thieves are outside of politics in contrast to the Wahhabis. Therefore,” he says, “it is obvious whom the authorities must support.” The jailors must back the thieves against “’the greens’” or risk losing control. If they don’t do so, he continues, then the Muslim prisoners will leave the prisons or camps as fully-formed Wahhabis and “in 15 to 20 years, we will have a situation in which the current state of things in Belgium or France will seem child’s play.” One way to combat Islamic extremism in Russian penal institutions is to invite traditional Muslim leaders to visit and provide services for the Islamic community behind the walls. But that tactic sometimes breaks down when jailors decide that local imams and mullahs are themselves extremists. However, unless the traditional Muslim leaders are allowed in, observers say, the Muslim prisoners will promote their own mullahs – and these in almost every case are radicals who quickly radicalize others. Jailors fear that the situation, which has already led to outbursts of lethal violence and radicalism will only get worse as the number of Muslim prisoners rises. Redistribution of expenses would increase the economy in 20-30 years by almost a quarter. The economy would already grow faster today, if the expenses of the entire state in 2011-2017. were distributed more efficiently, the article of the chairman of the Center for Strategic Research (TsSR) Alexei Kudrin and the director of the Center for International Trade Studies of the Russian Academy of Sciences Alexander Knobel said in the journal Voprosy Ekonomii. Expenditure on education for this period decreased from 3.7% to 3.5% of GDP, for health and sports – from 3.5% to 3.3%, for security and law enforcement from 2.5% to 2.3%. But the defense grew from 2.5 to 3.1% of GDP, especially in 2014-2016: from 3.2 to 4.4%. According to the authors of the article, such a redistribution of costs annually deprives the economy of 0.3 pp growth rates. In early September, Kudrin published an article that revealed part of Russia’s development strategy until 2024, submitted by the CSR to President Vladimir Putin. The key proposal is a budget maneuver: to increase spending on education, healthcare, road construction and transportation by 0.9%, 0.7% and 0.9%, respectively, while cutting spending on security forces (by 0.5%) and defense (by 0 , 3%). Such a maneuver Kudrin proposed back in 2011 in the strategy 2020. And if it was undertaken even then, for 5-7 years, an additional contribution to the growth rate of the economy would be 0.4 pp, for 10-15 years – 0.8 pp, and for 20-30 years this would increase GDP by 20-25%. This is the minimum provided only by the redistribution of costs, without reforms and increasing the effectiveness of institutions, explains Knobel. A train has slammed into a bus carrying dozens of Uzbek passengers at a railway crossing east of Moscow, killing at least 16 people, officials said. The emperor naturally views the relationship as imperial. But the gamer views it as transactional. The emperor expects unconditional loyalty. The gamer takes his money, professes fealty, and then just does pretty much as he pleases. It’s a strange relationship that often resembles a dysfunctional marriage — one that has survived on co-dependency, mutual convenience, and inertia. It has lasted for more than 17 years, but whether it will survive into its second decade is anybody’s guess. If there is one thing that last month’s Zapad 2017 military exercises clearly illustrated, it was that the so-called strategic partnership between Vladimir Putin and Alyaksandr Lukashenka is coming under increased strain. Because, during Zapad, Lukashenka pretty much rained on Putin’s parade. The Kremlin leader wanted to use the Zapad exercises as a psy-op to intimidate the Baltic states, Poland, and Ukraine. But the Belarusian strongman isn’t interested in a conflict with the West and he went to surprising lengths to reassure his neighbors. And by most accounts, the Kremlin wasn’t pleased. Neither Putin nor Defense Minister Sergei Shoigu visited Belarus during Zapad. Russian military commanders pointedly did not stay for a ceremonial dinner after the exercises. And Lukashenka backed out of plans to make a joint appearance with Putin at a Russian military facility. The Zapad exercises were supposed to illustrate strategic unity between Russia and Belarus amid Moscow’s escalating conflict with the West. But what they instead demonstrated is that you can’t buy an empire. So the Zapad party didn’t go so well. And now comes the hangover. Moldova’s government and its president are locked in their own cold war but voters and neighbours seem more concerned about corruption. CHISINAU (Reuters) – Moldova will not receive expected tranches of funding this year under a 100 million euro (£89.48 million) agreement with the European Union. CHISINAU (Reuters) – Moldova will not receive expected tranches of funding this year under a 100 million euro (£89.48 million) agreement with the European Union as it has not fulfilled the required conditions, Moldovan Prime Minister Pavel Filip said on Friday. In June, the European Union agreed to disburse 60 million euros in loans and 40 million euros of grants in 2017-18 to help the ex-Soviet nation stabilise its economy and to promote reform. “We won’t receive money in 2017, but we’ll definitely receive it next year,” Filip told journalists, explaining that Moldova had to fulfil 30 criteria to unlock the funding. Finance Minister Octavian Armasu told Reuters the budget had foreseen Moldova receiving two tranches this year, but expressed confidence one would be disbursed in early 2018. The EU has said a basic precondition for the financial assistance is a respect for democratic process and the rule of law. Nevertheless Moldova this year introduced a new electoral law that a pan-European rights body ruled could make the system more susceptible to undue influence by vested interests. Moldova’s economy grew 4.1 percent last year, recovering from a contraction of 0.4 percent in 2015 due in part to an economic crisis in nearby Russia that hit exports and remittances from Moldovans working there. The country, Europe’s poorest, has also been rocked by a scandal that saw the equivalent of an eighth of its gross domestic product stolen from three of its largest banks between 2012-2014. The World Bank and International Monetary Fund have forecast growth of between 4 and 4.5 percent in 2017. Chief of the General Staff of Ukraine&rsquo;s Armed Forces Gen. Viktor Muzhenko doubts that Ukrainian society is ready for a forceful solution to the Donbas issue, Ukrainska Pravda reports. Muzhenko noted that the Ukrainian Armed Forces are ready for the Donbas resolve by force, speaking in the context of arms available and control system in place. At the same time, he added that during the exercises, special techniques are used to estimate losses. According to the chief of the General Staff, in a ten-day operation, also employing the air force, Ukraine could see casualties of some 10,000-12,000 troops, of whom 3,000 would be killed in action. Talking about possible civilian casualties, the official has noted that the estimates put 10,000 civilian victims per 2,300 troops killed in action. At the same time, Muzhenko said that according to the calculations made during the drills and taking into account possible forces on both the Ukrainian and Russian sides, the Ukrainian army is resilient enough to react adequately to a possible incursion not only in the east of Ukraine but also along the entire section of border with Russia. Speaking about the possibility of introducing a peacekeeping mission to Ukraine, he recalled that it is practically impossible to implement the idea via the UN Security Council because Russia would definitely veto the move. He also said that another problem is who will be granted a mandate to conduct the peacekeeping operation. Russia, the official said, would not agree to the NATO mandate, while Ukraine will defy the CSTO mandate. At the same time, according to Muzhenko, both the U.S. and Canada are ready to deploy their peacekeeping contingent to Ukraine, but it is not clear whether Russia ever agrees to this. According to his estimates, the peacekeeping force could amount to several thousand troops. Victor Muzhenko states the casualties may be up to 10 – 12 thousand military men in a 10-day air operation, with 3 thousand fatalities. Viktor Muzhenko, the head of the General Staff of Ukraine, doubts whether Ukrainian society is ready for the belligerent solution to the Donbas conflict. Muzhenko told this in his interview, the Ukrainska Pravda reports. Muzhenko noted that the Armed Forces are ready or the belligerent solution to the Donbas conflict if looking into a problem in the context of armament availability and the command system. He also noted that the loss assessment is conducted during the drills. According to the Head of the Staff, the casualties may be up to 10 – 12 thousand military men in a 10-day air operation, with 3 thousand fatalities. On the question of civilian loss assessment, he noted that there are 10 thousand civilians on every 2300 military men. At the same time, Muzhenko told that Ukraine has enough military force to adequately react not only in the East of the country but also along the whole border with Russia in case of power projected scenario implemented by the Russian Federation. The Verkhovna Rada of Ukraine has adopted the law &quot;On the creation of the necessary conditions for the peaceful settlement of the situation in&nbsp;the occupied areas of Donetsk and Luhansk regions&quot;, submitted by the President of Ukraine (No. 7164). News 06 October from UNIAN. Special Representative of the U.S. Department of State for Ukraine Kurt Volker considers the adoption of the law on extending for a year the special status of certain regions of Donbas as Ukraine's step towards peace. 06.10.17 10:18 – Adoption of Donbas bill will create conditions for liberation of Russia-seized territories, – Turchynov … View news. Secretary of the National Security and Defense Council Oleksandr Turchynov did not rule out that the provisions on Crimea de-occupation could be included in the presidential bill on the restoration of Ukrainian sovereignty in the occupied areas in Donbas, DT.UA reports. News 06 October from UNIAN. 06.10.17 15:47 – Aggressor country will never be able to participate in peacekeeping measures, – Turchynov … View news. Russia's hybrid military forces attacked Ukrainian army positions in Donbas 24 times over the past 24 hours, according to the press service of the Anti-Terrorist Operation (ATO) Headquarters. News 06 October from UNIAN. The OSCE Special Monitoring Mission to Ukraine reported about a slight increase in the number of ceasefire violations in Donbas that concentrated mainly around three areas, according to a report posted on the website of the organization. For more than two years, some 300 American soldiers have been quietly helping train an enormous partner military in western Ukraine. A brawl in Kyiv’s parliament on October 6 was just the latest case of Ukraine’s politicians opting to bust heads rather than filibuster. A dip into the archives reveals 14 of the (many, many) times when dialogue broke down and fists, eggs, and smoke bombs flew. “Volunteers took a heavy burden from the state.” During the years after the Euromaidan Revolution, a powerful volunteer movement formed in Ukraine. Volunteers helped the army, the reform process, and fight against corruption, and took part in other important changes. However, there are volunteer movements not only within the country. The Ukrainian diaspora has also been very active during these years. Euromaidan Press found out how the life of Ukrainian community in Estonia has been affected by the war in Donbas and what drives Ukrainians in Estonia to help their motherland. For that, we talked to Volodymyr Palamar, the Head of the Association of Ukrainian organizations in Estonia. The Russian occupation authorities of Crimea appear to have launched a new repressive wave to demonstrate how they safeguard their citizens from imaginary threats stemming from pro-Ukrainian communities. The recent assault on Muslims of Crimean Tatar origin is likely to follow the previous model case which so far ended with nineteen believers jailed for their privately held beliefs. It also nearly coincides with the conviction of the two leaders of the Crimean Tatar Mejlis, Akhtem Chiygoz and Ilmi Umerov, and the Ukrainian dissident journalist Mykola Semena, who all publicly opposed the illegal annexation of Crimea. The move would punt the issue to a reluctant Congress and could lead to blowing up the agreement altogether. President Donald Trump has a message to Republicans in Congress — you don’t like the Iran nuclear deal, so you deal with it. Iraq’s prime minister said Thursday that troops have retaken the northern town of Hawija from the Islamic State group, driving the extremists from one of their last strongholds in the country. Syria’s reconstruction cannot be dictated or meaningfully shaped by Western donors—at least not to any satisfactory political ends. We have a golden opportunity to support an oppressed people in its quest for self-determination. So why do we remain silent? Turkish President Recep Tayyip Erdogan has suggested that Turkey, Iran and Iraq are considering blockading Iraq’s Kurdish region by closing its airspace and borders after the Kurds’ voted for independence last week. The U.S. and Qatar are close to finalizing a multibillion-dollar deal for up to 48 F-15QA multirole fighters. Questions arise on China’s plans as N. Korea war talk rises. Securing North Korea’s missile launchers and nuclear, chemical and biological weapons sites would likely be a chief priority for China in the event of a major crisis involving its communist neighbor, analysts say, although Beijing so far is keeping mum on any plans. Despite China’s official silence, its People’s Liberation Army likely has a “vast array” of contingency plans involving military options, said Dean Cheng, an Asia security expert at the Heritage Foundation think tank in Washington. The PLA and paramilitary People’s Armed Police could also be deployed to deal with refugees and possible civil unrest, he said. What’s less clear is whether and under what conditions China would commit troops as an occupying force should North Korean leader Kim Jong Un’s regime fall apart, Cheng said. “We can hypothesize that they might, but, as the observation goes, those who know don’t say and those who say probably don’t know,” he said. With tensions between the U.S. and North Korea running high and relations between Beijing and Pyongyang at a historic low, questions are being raised about how China might respond in the event of a regime collapse. The scene along the China-North Korea border in the wild mountains of northeast Asia provides some clues. Despite a dearth of traffic and trade, construction crews are at work on a six-lane highway to the border outside the small Chinese city of Ji’an along the Tumen River, a corridor that could facilitate the rapid movement of tanks and troops. Guard posts, barbed wire-topped fences and checkpoints manned by armed paramilitary troops mark the frontier along the border — signs of concern about potentially violent border crossers or even more serious security threats. China’s unwillingness to discuss its plans is likely a strategic choice by the notoriously secretive PLA, but potentially threatens unintended consequences were a major crisis to emerge, experts say. “Each party has its own plans for action in the event of an emergency, but if they act individually without communicating with others, it raises the possibility of misjudgment and unnecessary military conflicts,” said Jia Qingguo, dean of the school of International Studies at elite Peking University. “There has long been a danger in this respect. Someone must take control of North Korea’s nuclear weapons,” Jia said. Coordination is also needed on the handling of civilians, particularly with those international agencies experienced in dealing with such crises, Jia said. Among the refugees may be tens of thousands released from North Korean labor camps who may need medical treatment for communicable diseases and malnutrition. “Refugees are a huge issue that could involve a tremendously large number of people and potentially become a humanitarian crisis,” Jia said. Asked about Chinese preparations for a North Korean crisis, defense ministry spokesman Col. Wu Qian offered assurance but no details at a monthly news briefing on Thursday. “Dialogue and consultation is the only effective way to solve the problem concerning the Korean Peninsula, and the military option cannot be an option,” Wu said. “The Chinese military has made all necessary preparations to safeguard national sovereignty and security and regional peace and stability.” U.S. officials say the Chinese have been reluctant to discuss planning for a major crisis, possibly to avoid offending Kim’s notoriously tetchy regime. Partly in hopes of facilitating such discussions, the two sides signed an agreement during a visit to Beijing in August by the top U.S. military officer to establish a dialogue mechanism between their militaries. Tellingly, the visit by Gen. Joseph Dunford, the chairman of the Joint Chiefs of Staff, also included the rare opportunity to observe a Chinese army drill near the Chinese city of Shenyang, roughly 200 kilometers (125 miles) from the border with North Korea. Although Dunford said China didn’t appear ready to have conversations about responding to a North Korean crisis, senior administration officials say the sides recognize the need for communication on the matter and the topic has been broached in semiofficial talks between experts. The workers wake up each morning on metal bunk beds in fluorescent-lit Chinese dormitories, North Koreans outsourced by their government to process seafood that ends up in American stores and homes. Pyongyang hinted Friday it has resumed operation of the inter-Korean industrial complex in North Korea’s border city of Kaesong which was shut down by Seoul in 2016. Does Beijing really mean to invade? Could it invade? China has come to a standstill over a one-week public holiday, but that will continue ahead of a Communist Party Congress set to start on October 18. The European Parliament has unequivocally condemned Russia’s sentencing of 47 Ukrainian citizens illegally sentenced by Russia and called for sanctions to be imposed on those responsible for politically motivated processes. This is the fullest list of de facto Ukrainian political prisoners that has been voiced over by international representatives and the first time that sanctions against Russian officials have been proposed for crimes against them. Why aren’t Western governments doing more to stop Russian money from poisoning their economies? The Catalan police chief appeared in a Madrid court Friday to answer allegations of sedition amid an ongoing deadlock after the banned independence referendum in Spain’s restive northeast region. The Nobel committee says “the risk of nuclear weapons is greater than it has been for a long time”. The attack spawned wars to export democracy abroad, while degrading it at home. Is the Pentagon capable of generating a real defense strategy? Or will the forthcoming National Defense Strategy (NDS in Pentagon-ese) be like so many stra…. The Senate’s version of the annual defense bill provides $200 million for rapid prototyping of directed energy weapons. First is the name: While non-strategic nuclear weapons are sometimes referred to as “tactical” nuclear weapons, the term is a misnomer. In reality there are tactical and strategic effects that a can weapon deliver. News bulletin in 1957: Sputnik stuns the world. CIA in 2017: Not really. In 2012, Capt. Nick Dockery was a lieutenant deployed as a platoon leader in Afghanistan. Just one day after his unit was moved and took over a new area of responsibility in Kapisa province, his platoon and its Afghan partners were providing security during a meeting with a district sub-governor when they were attacked by an enemy force, sparking an intense, close-quarters fight. Wounded during the engagement, Dockery would receive the Silver Star for his actions that day, and four other members of his platoon would also be decorated for valor. Capt. Dockery was also recently recognized as the recipient of the 2017 Alexander Nininger Award for Valor at Arms. The awardee is selected jointly by representatives of the United States Military Academy and the West Point Association of Graduates. Named in recognition of the heroic actions of 2nd Lt. Alexander R. Nininger, USMA Class of 1941, it is given to an exemplar of heroic action in battle. In addition to recognizing the recipient for his or her bravery as an individual, the Association of Graduates regards the recipient as a given year’s representative of all West Point-commissioned officers who have heroically led soldiers in combat. KIRTLAND AIR FORCE BASE, N.M. – U.S. Air Force weapons experts needed a research company to help them evaluate the electronics-killing effects of high-power electromagnetic (HPEM) weapons on analog and digital electronics. They found their solution from Verus Research in Albuquerque, N.M. Officials of the Air Force Research Laboratory (AFRL) Directed Energy Directorate at Kirtland Air Force Base, N.M., announced an $11 million contract Wednesday to Verus Research (formerly XL Scientific LLC) to research HPEM effects on analog and digital electronic systems. Verus experts will perform effects testing on analog and digital electronics, as well as to develop and run computer models to help the Air Force predict the effectiveness of HPEM weapons against electronic targets. HPEM technology describes a type of directed RF energy that can destroy or disable unshielded electronic systems, similar to how electromagnetic pulse (EMP) from a nuclear explosion can burn-out electronic systems. Unprotected electronics can malfunction or burn out in the presence of high-power electromagnetic fields. Future non-kinetic HPEM weapons are expected to produce electronics-killing effects similar to those of nuclear EMP, except over relatively small ranges. HPEM effects are of interest to the military for their potential use in information warfare, missile defense, cyber security, and to a variety of future offensive non-lethal weapons able to disrupt enemy computer electronics, telecommunications networks, security systems, aircraft, ships, and land vehicles. This effort is part of the Air Force High Power Electromagnetics (HPEM) Effects Program, which seeks to advance the state of the art in HPEM technologies for directed-energy weapons, cyber warfare, electronic warfare (EW), electronics-killing weapons, power electronics, and antennas. The HPEM Effects Program also seeks to characterize the effectiveness of potential HPEM weapons by developing effectiveness tools and generating data on the vulnerability of electronic systems to HPEM signals strong enough to disrupt or kill electronic systems. In this contract Verus will perform effects testing on digital electronic systems up to the engagement and mission levels that can help predict the effectiveness of HPEM weapons against electronic targets. Verus experts will collect and analyze HPEM effects on a broad range of electronics at the device, circuit, and system levels, as well as identify targets, buy test electronics, conduct indoor and outdoor tests, and build probability of effect curves for electronic subsystems. Company experts also will help the Air Force with battle damage assessment of HPEM weapons by developing battle damage indicators for an HPEM engagement, as well as identify state-of-the-art HPEM sources to collect vulnerability data for waveforms to evaluate their effectiveness in future HPEM weapons. On this contract Verus Research will do the work at the Phillips Research Site at Kirtland Air Force Base, N.M., and should be finished by September 2020. For more information contact Verus Research online at www.verusresearch.net, or the Air Force Research Laboratory’s Directed Energy Directorate at www.kirtland.af.mil/Units/AFRL-Directed-Energy-Directorate. An influential Washington think tank with close ties to President Donald Trump’s administration is warning of a significant deterioration of the U.S. Air Force’s fighter capacity. The Heritage Foundation’s “Index of U.S. Military Strength” shows a significant drop in deliverable fighter capacity in Air Force inventory compared to last year. The Air Force has 923 combat-coded tactical fighter aircraft today. That’s 236 below last year’s figure and 277 below the 1,200 that Heritage believes is needed to fight and win two simultaneous conflicts, the benchmark the think tank uses to measure military strength. With a fighter pilot shortage approaching 1,000 and a maintenance shortfall of more than 3,000 personnel, the Air Force’s ability to meet wartime requirements will continue to wane, the report predicts. Heritage scored the Air Force overall as “marginal” in capacity, capability and readiness. In other words, if the U.S. were to become involved in two major regional conflicts at once, the existing force could only just meet the requirements. Although the overall assessment is unchanged from last year, the think tank warned that all three areas are trending dangerously downward due to increasing evidence of training and maintenance shortfalls, and pilots’ own assessment of their forces. Heritage stressed that the service cannot afford this deterioration at a time when potential enemies are investing in building up their own forces. “The Air Force’s overall military strength score continues to trend downward at a time when America’s dominance of the air domain is increasingly challenged by the technological advances of potential adversaries,” according to the report, released Oct. 5. The think tank is particularly concerned with the low number of legacy F-15Cs left in the fleet, just 106, and the capability gap created when those last aircraft retire. Russian government-backed hackers stole highly classified U.S. cyber secrets in 2015 from the National Security Agency after a contractor put information on his home computer, two newspapers reported on Thursday. The stakes of a reality TV show are roughly zero. The stakes of diplomacy with rogue nations pursuing nuclear weapons are incredibly high, says CNN’s Chris Cillizza. Some of President Donald Trump’s advisers are talking about the idea of replacing Secretary of State Rex Tillerson with CIA Director Mike Pompeo, Axios reports. What if the U.S. government treated domestic extremist groups as it treats Americans suspected of being involved with jihadist organizations like ISIS? Is Trump learning from Putin, or vice versa? Previous Post Russia’s New ‘Useful Idiots’?